The CAHNRS IT procedures take precedence over the following instructions which are tailored for this department and not for the WSU community as a whole. The following steps will quickly and completely prepare you and your computer for the day to day activities of our department. Everything begins with your NETWORK ID. Without it, you are not part of the WSU system. All permanent faculty, staff, and students are required to have a Network ID. If you are visiting faculty, staff, or student and are only here for a few days or weeks, you can obtain a “Friends of WSU” ID that will give you limited access to WSU services. You can do this yourself or have a WSU employee do it for you. Along with your network ID, you will need to know the physical hardware addresses of your computer’s network ports both wired and wireless. You will need to register your computer. You cannot do this without your Network ID and the physical hardware address of your computer which you should now have. If you have a computer that also has wireless capability, you will need to register it as well. Submit an IT support request at the CAHNRS IT Support Portal. You will do this only once for each computer. If your office has a CISCO digital phone you can plug the network cable into the back of it. Important, only one computer (no switches, hubs, etc.) can be connected this way. If you need to connect a switch to other computers, printers, etc. then you will need an additional port (wall jack) activated (called a data port). When assigned an office, the best thing to do is to record all the jack numbers (ex. 202T:018) and send a request to the HELP DESK asking which jacks are active and whether or not it is a VOIP or a DATA port. You will need to configure Microsoft Outlook for the Exchange Service. IT provides a step by step procedure for doing this. Once again, a thorough understanding of the WSU exchange service will make your day to day communication tasks less confusing and more effective. 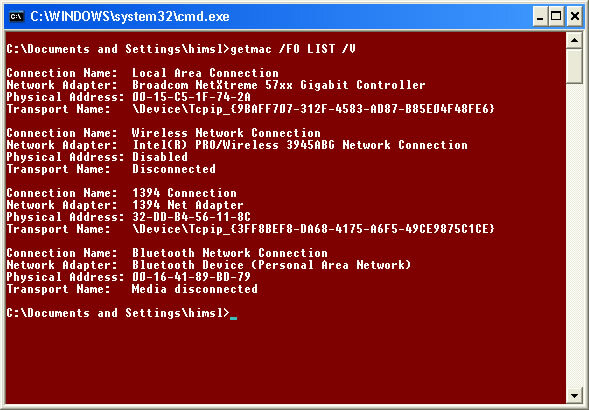 All computers have a unique embedded address assigned to each network function, wired and wireless. This is commonly referred to as the network MAC address or the network physical address. You will need the ‘RUN’ Command. It is accessed via the ‘START’ command. You should see the RUN command. If not, you will need to enable it through the START properties window. Select ‘Customize…’ and then check the ‘Display Run’ check box. 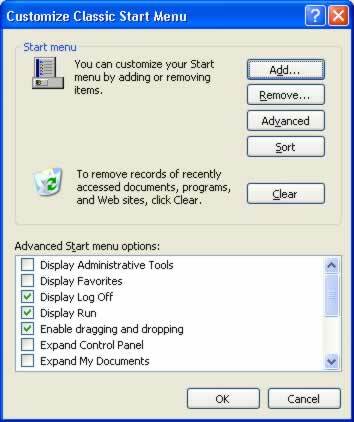 With the ‘RUN’ command accessible from your START menu, select START then RUN and then type CMD. 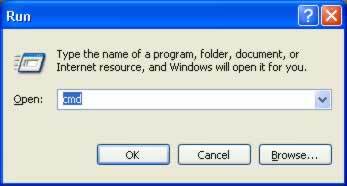 You are launching a DOS window. Type in the command below.